Proxifier is a program that allows network applications that do not support working through proxy servers to operate through a HTTP or SOCKS proxy server or a chain of proxy servers.There are many network applications that do not support working through proxy servers and thus cannot be used from LAN or with firewalls. These can compromise corporate privacy and lead you to many other restrictions. Proxifier solves all of these problems and gives you the opportunity to work with your favorite software without any restrictions. Besides it lets you gain extra control over network security and add more power to network functionality. With Proxifier you can work with any Internet clients (browsers ftp ssh ICQ IRC eMulevideoaudio games like World of Warcraf) from network that is separated from Internet by a firewall (only one open port is required).Proxifier will help secure your privacy. 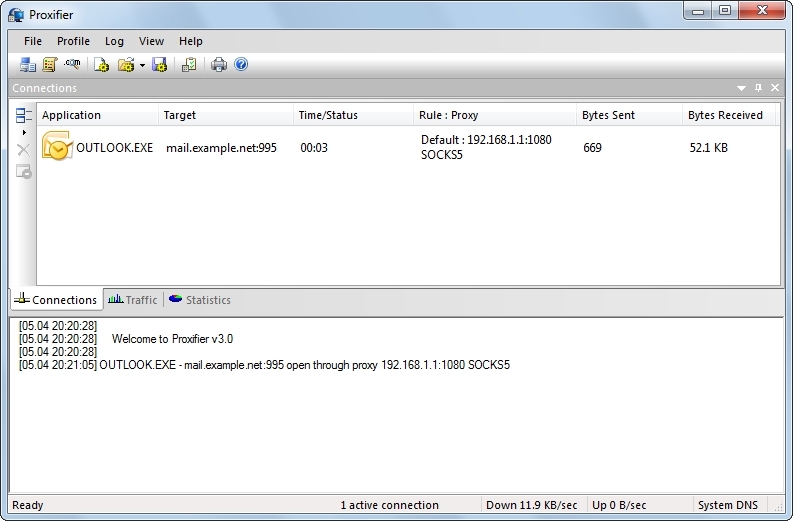 Send and receive email through a proxy server or a chain of proxy servers all email clients are supported (Outlook Eudora Netscape and others).Proxifier allows you to:+ Run any network applications through proxy server no special configuration is required for the software. 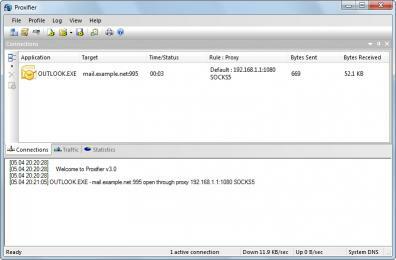 + Access the Internet from restricted local area network through a proxy server gateway. + Bypass firewall restrictions (connect to restricted ports). + Use three types of proxy servers: SOCKS v4 SOCKS v5 and HTTP. + Resolve DNS names through a proxy server. + Tunnel the entire system (force all network connections in the system work through a proxy server). + Secure privacy by hiding your IP address. + Work through a chain of proxy servers using different protocols. + View information on current connections (addresses rate data transfer connection time etc.) in real-time. + View information on bandwidth usage as a colored diagram in real-time. + Maintain log files. + Log incoming and outgoing traffic. + Get detailed reports on network errors.